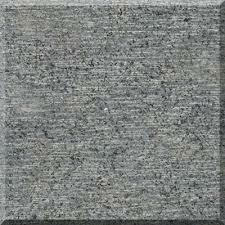 Backed by our rich industrial experience in this domain we are able to offer premium quality Line Chiseled Granite. Provide effective shining to the marble, the offered line polisher is good demand in the market for its high performance. In order to assure the quality, the complete range of line polisher is checked on numerous parameters before the final delivery at the customer’s end. The offered line polisher is provided with different specifications at affordable price. With a good industrial experience, we have successfully gained a strong foothold over the international market with our range of Polished Granite Tiles, Black Granite Tiles, Granite Cobbles, Stone & Marble Tiles & many more. Available in various colors and numerous textures these are widely acclaimed for good uniformity and high compressive ratio. Processed with the aid of our innovative technology these are perfect for embellishing monuments, architectural edifices and residences owing to its quality and durability. Backed by the meticulous efforts of our experts we have been able to garner vast clientele not only in India but also across the globe.